Yoga is your passion and you want to deepen your knowledge and practical skills? Our training gives you the opportunity to become a yoga teacher! 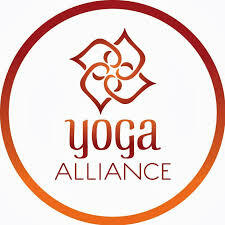 Train as a Yoga-Instructor and receive your 200-Hours Yoga Alliance certificate! You will learn how to lead a Vinyasa Flow Yoga class. The training contains: practical and theoretical workshops as well as Asana practice. After the final examination you will get the certificate (200-Hours-Yoga Alliance). Raphaela is the studio owner, a Yogini and a yoga instructor. She has been teaching yoga for 7 years and led more than 2000 classes. Raphaela will be responsible for the composition of the classes, sequencing and Asanas. Peter is a sports scientist, yoga instructor and is currently attending a training to be a training therapist. He will pass on his vast anatomical knowledge and teach Asanas. Carina is an instructor and a private tutor for Fitness, Yoga, Pilates and Coaching, with over 10 years of experience. She will teach history and philosophy as well as guide you through relaxation and meditation. Free membership during the training. You should be practicing yoga for 1 year and be keen to learn new skills.